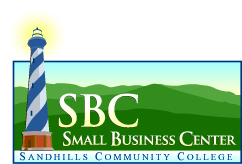 The Small Business Center (SBC) is located at the Dedman Center for Business Leadership in 101 Van Dusen Hall on the Pinehurst campus. The center offers free seminars, counseling, resources, and networking opportunities for budding entrepreneurs and small business owners. The SBC offers free seminars and other opportunities targeted to the needs of small business owners and startups. Scroll down to see the complete list of upcoming seminars and workshops. The SBC also offers one-on-one counseling and resources about starting a business or about specific business needs.